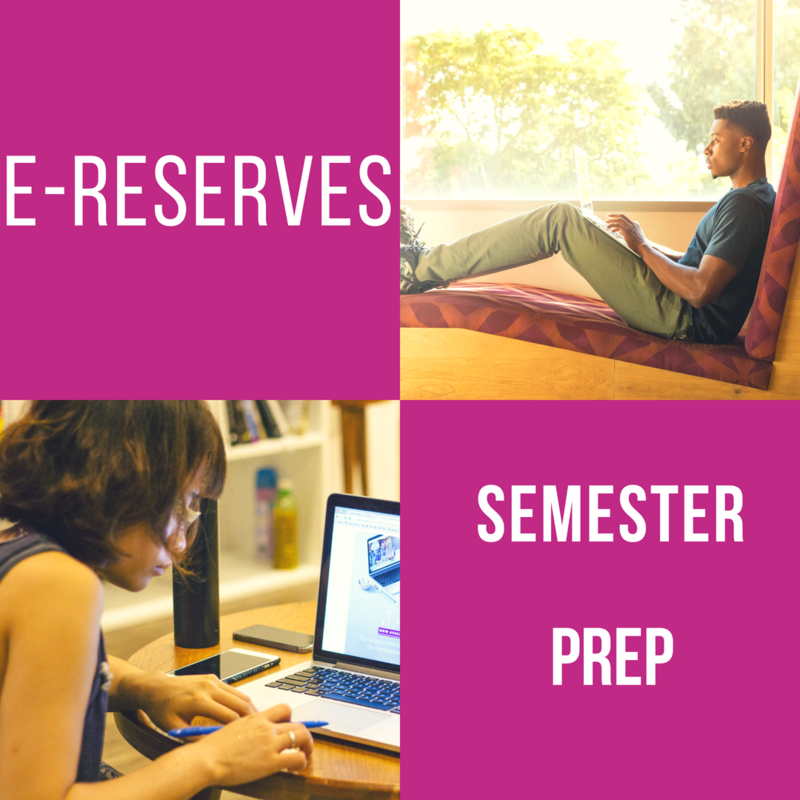 E-Reserves - Get Ready Spring Semester! The E-Reserves module is designed to offer an intuitive and easily-discoverable interface for your e-reserve items. Whether starting from your homepage or an existing guide, your students will easily locate all required readings, all in one place!